Casting call for the upcoming season finale episode of NBC’s “Chicago Fire” and “Chicago Med”. “Chicago Fire” is currently filming the season finale in the Chicago, Illinois area and are now casting background talent to fill various small roles in an upcoming episode filming this week and next week. “Chicago Fire” airs on NBC and focuses on a fictional Chicago Firehouse, firehouse 51. “Chicago Fire” dives into the lives, both professional and personal, of the firefighters and paramedics working at Firehouse 51. The show was created by Michael Brandt and Derek Haas and stars Jesse Spencer, Taylor Kinney and Monica Raymund. “Chicago Fire’s” sister series “Chicago P.D.” is also currently filming the new season and has castings out as well. Check out the “Chicago P.D.” casting calls here. This season another “Chicago Fire” spin-off is in production, “Chicago Med“…. They are in production as well and have also been looking for Chicago area talent. Searching for men and women 20’s to 70’s, all ethnicities, who can work our finale episode on Thursday, April 21st, for “Chicago Fire”. PLEASE DON’T SUBMIT IF YOU HAVE WORKED THIS PAST MONTH. If you can work send a recent color photograph with your height, weight, age, phone number, city and state to xtra4hire@gmail.com and put “4.21” in the subject line. This might include a wardrobe fitting. Spread the word as this is going to be a very fun shoot! We are searching for bicycles, joggers and dogs, to work on this day. Please include in the subject line if you have a dog, or want to be a jogger or have a bike. Please include all your clothing sizes along with your shoe size. It’s very important that you include your shoe size. Searching for real servers and bartenders, bellhops, security guards to work our big scene on April 21st. If you can work send a recent color photograph with all your clothing sizes, Men: neck, sleeve, jacket, waist and inseam – shoe size, women: blouse, pants, skirt size, shoe size, to xtra4hire@gmail.com and put “Server/Security/Bartender 4.21” in the subject line. WE MUST HAVE YOUR SIZES. 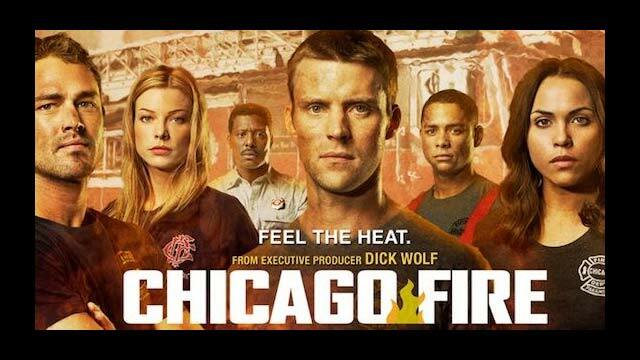 Searching for males and females, 20’s to 50’s, all ethnicities, to work our scene on “Chicago Fire”, Friday, April 15th. If you can work send a recent color photograph with your height, weight, age, phone number, city and state to xtra4hire@gmail.com and put “4.15” in the subject line. Check out this clip of the “Chicago Fire” cast having some fun on set… Kara Killmer (Brett) shows the fun behind the scenes on Chicago Fire. You can catch “Chicago Fire” Tuesday at 10 on NBC. You can find all my information on (removed) I am interested in any female roles that are paid & non paid. Currently looking for the experience at this point. Thank you. I will be a GREAT EXTRA! I will be glad to fill any extra role you need no matter what type the role is. I am Raunak Malhotra. I have a head shot and I know Tanya Savard, Kamal Hans who played the gas station worker in Chicago PD, and Joe Dempsy who is really good friends with Mouch. I will realy like to be part of your movie because I can be ver athletic with suport and lots of other things. I have black hair, 2 dimples, brown eyes. My mother and I think I will make a pretty good actor. Thanks for your time. Hey to who it may concern I am a young male ready to do what it takes to brighten up the cast as well as the Film and willing to work towards any opportunity. Thank you and be blessed.